Mubadala Real Estate & Infrastructure, a unit of Abu Dhabi’s Mubadala Investment Company, is showcasing its expanded residential portfolio including four new projects at Cityscape Abu Dhabi. The premium developments are located in some of the capital’s most desirable residential areas. Cityscape Abu Dhabi takes place from April 16 to 18 at Adnec. 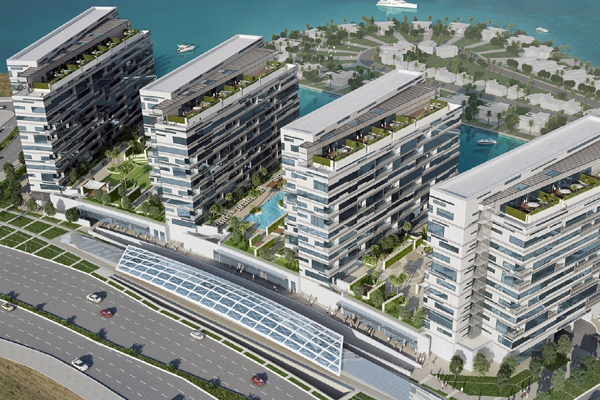 The four residential developments include: Lamar, a premium waterfront development located at Al Raha Beach; The Wave, a high quality mixed-use development with residential, office and retail space situated adjacent to the marina waterfront promenade on Al Reem Island; The Views at Saraya, which comprises two luxury residential high-rise towers with panoramic views of the Abu Dhabi Corniche; and the Saraya lagoon and Al Durrah Tower, a premium residence located at Marina Square on Al Reem Island. Additionally, Mubadala Real Estate & Infrastructure will provide updates on Al Maryah Island – Abu Dhabi’s business and lifestyle destination. The Island’s diverse portfolio of real estate and infrastructure developments has already established a strong foundation for Abu Dhabi’s future growth by attracting major developers, businesses and international partners to create one of the most attractive destinations for Emirate’s residents. “With Abu Dhabi Global Market building impressive momentum as one of the world’s newest international financial centers combined with its luxury retail and dining experience through The Galleria, premium hospitality offerings, and world-class healthcare, the island has become a coveted lifestyle and business destination,” said Ali Eid Al-Mheiri, executive director of real estate and infrastructure, Mubadala. “We are pleased to showcase our expanded premium developments to the market which builds on our strategy of focusing on prime locations in Abu Dhabi. We are seeing sustained demand for quality real estate offerings and with the market stabilizing we are positive about the momentum behind our key developments which are led by high-end amenities and a focus on community living, in prime locations,” he said. Lamar, the latest in the line of exceptional residential projects in Mubadala portfolio, comprises four apartment buildings standing high on a common podium offering unmatchable views across the Capital. The development offers one-, two- and three-bedroom apartments in addition to duplex townhouses and penthouses. The Wave is a 23-storey residential tower and offers a range of apartment units with clean, modern lines, as well as several duplex penthouses with stunning views over the Najmat Marina and Abu Dhabi skyline. The tower has 229 units of one, two, three and four bedrooms. The Views at Saraya comprises two luxury residential high-rise towers and offers comfort and convenience at the height of luxury, with podium decks over landscaped areas and swimming pools as well as lush sky gardens and rooftops. The Views’ facade is sculpted to reflect varying sun angles throughout the day and promises a constantly transforming aesthetic appeal. The Views has 74 units of three-, four- and five-bedrooms. Al Durrah Tower on Al Reem Island offers a range of 185 spacious, beautifully designed apartments of one-, two-, three- and four-bedrooms with a variety of layouts designed to complement the modern lifestyle with spectacular views of the Arabian Gulf and the Abu Dhabi skyline.